Vice President Mike Pence told pro-life advocates Friday night the Trump administration is “all about results” in protecting unborn lives. 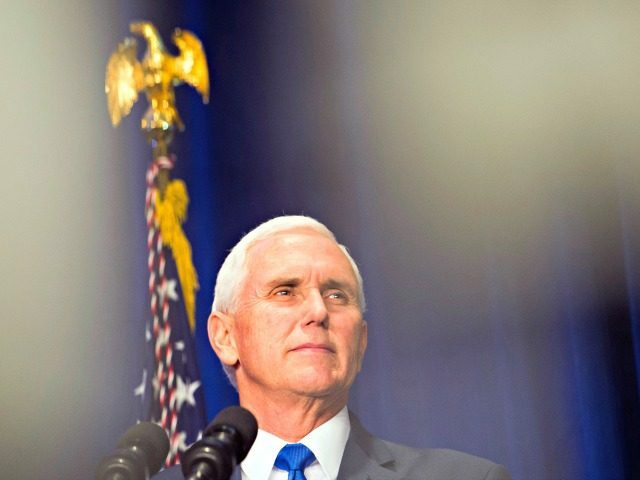 “This pro-life administration, across the board, we’ve been working every day, to keep our promise to stand with all of you, without apology, for the sanctity of human life,” the vice president said. Pence was the source of inspiration to pro-life activists for a second time Friday as he had addressed the March for Life rally earlier in the day when he made a surprise visit to speak to thousands of pro-life marchers participating in the annual event. “The president said today the March for Life, in his words, this is a movement founded on love, grounded in the nobility and dignity of every human life,” the vice president said, referring to the words of President Donald Trump who also spoke to the pro-life marchers in a pre-recorded message during the rally. “In one of his very first acts, President Trump reinstated the Mexico City Policy, and now we will ensure that our foreign aid dollars never go to groups that promote abortions abroad,” the vice president said as he continued to name some of the other pro-life accomplishments of the Trump administration. Pence said, however, that abortion rights activists also know the progress the Trump administration has made in advancing a pro-life agenda. However, Pence repeated Trump’s promise in his message to the March for Life supporters that he will veto any bill that promotes abortion. “This movement is filled with hope that we will restore the sanctity of life,” the vice president said to resounding applause. Pence was the first sitting U.S. vice president to address the March for Life event on the National Mall two years ago.